As you already know, I have two nieces, Boo and Daddy's Girl. You may not know that I also have a nephew, my brother's baby, "Bam". Boo knows better than to play with the Christmas tree ornaments, but the other two don't, so like just about every home with small children, Jill's Christmas tree is decorated with the breakable ornaments out of reach. If you want some unbreakable ornaments (or just some cute ornaments that happen to be unbreakable), you can make yourself some of these. When the weather outside is frightful, and the fire is so delightful, and if there's no place to go, make these felt mittens and Let It Snow. These felt mittens would make a great kid's craft, too. 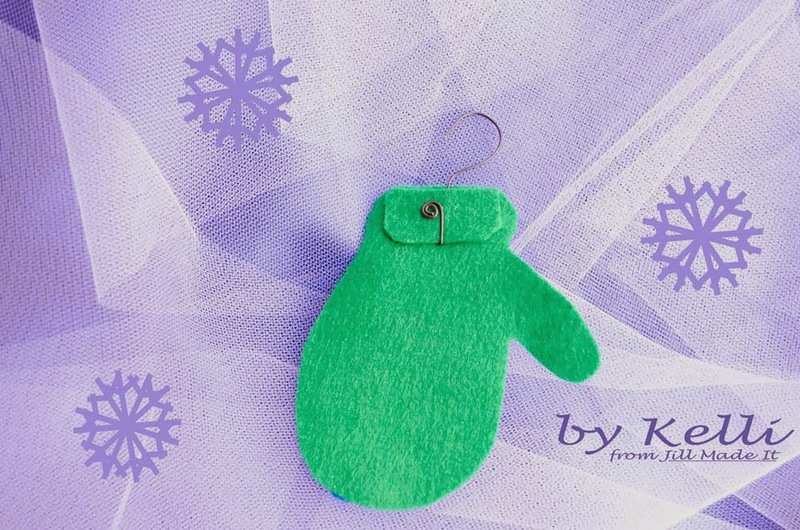 If the kids in your life aren't old enough to use scissors, you can cut things out, and they can still have fun glueing decorative felt bits on to their mittens. You can use the template below, or design your own mitten shape. To attach the hanger, I sandwiched part of the wire between two pieces of felt, glued them together, and curled the end of the wire over the felt patch to make sure it wouldn't slide out. I imagine you could avoid making a felt sandwich by simply attaching the wire with a blob of hot glue. I don't own a hot glue gun, and so, used the felt sandwich. For extra baby-friendliness, you could swap the wire for a loop of ribbon. What fun felt things have you made? 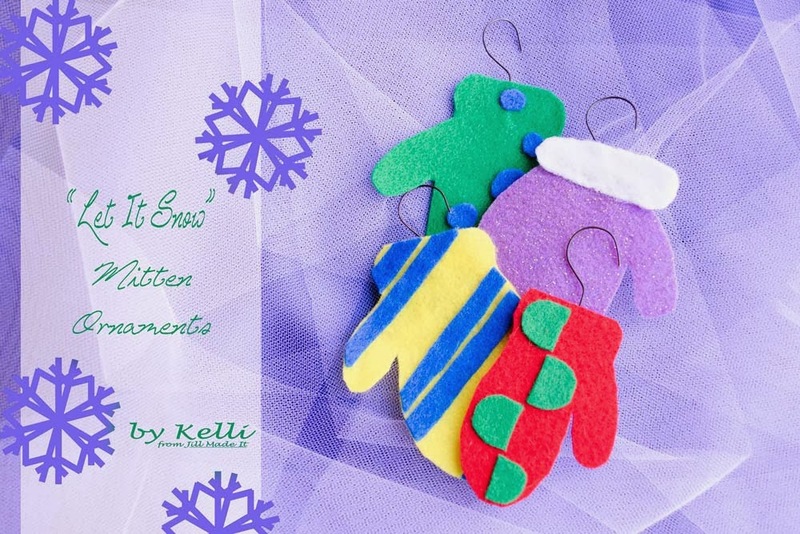 Have you seen the other posts in our Sew a Song of Christmas series?